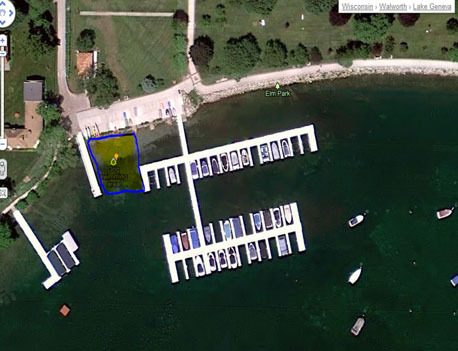 Lake Geneva establishes a dog swimming area in Library/Elm Park after dog owners petition the common council to change the laws which made the common practice illegal. Being a Dog Owner ( or they owned me) for Many yrs..
1- I do not like to Let my Dog go Swiming in Lakes, Rivers or Ponds..
3- Require more Baths – Just like us Huans, Take a Bath/Shower after Swiming.. Which I’m sure the Local Pet stores supported this latest Action..to sell more Pet Soap ..LOL ! And August and after rains are The worse times , it’s the dirtiest time for lake water.. Beaches everywhere get closed down for EColi and Too Much Seaweed, etc.. in the still Waters..
4. Got Ear Plugs? Not just for you Human swimmers but for your Dog? Any lake has Live Organisums in them, from bugs to I’m sure Others more informed can tell you all the nasty things in Lake/River water..
And how about the Polution that is flowing Into The Lake from Nearby Streams? and to say Every Dog owner will do these and other things with their Dogs and take good care of them is ? Dreamland..
Of course, I’m sure Not many want to Be the BAD GUY and be Anti- Dog or Pet..
And Don’t expect either the Pet Supply sotres, Dog care People that wash and Take care of Dogs /Pets , nor Even Vets speak against having your dog go siwmming in a Lake/River or Pond..
It’s their Livelyhood they have problems, is it not? And just watching the Cable shows of the Dog Whisper talks about it.. While it’s too late Now, but Be carefull with your Dog after you take them swiming..
Keep the cool? Keep them inside your Nice Cool Home.. Use a Garden Hose or a Kids Pool for them..
Keep their hair Thinner and shorter in summer and of course, Pick u after your dog..
We have the same problem with BIKE riders who come up to our Town and ride down the Middle of the Streets/Roads and are Anti Pedestrians and anti Vehicles ..They can be Right, but they don’t realize, Also be Dead Right..and many end up that way.. and it’s a shame the Vehicle owner gets blamed for hitting them.. and how many Pedestrians Get hit by Bikers? I’ve seen bike riders flying down the street by the boat launch and Almost hitting A Boat Being Back into the Lake to be launched.. I pity the Boat owner if they hit it.. all that Blood all over it ! and tying up others trying to launch or Pull out their boats till they clean up the mess..
Now hate me..Being old and retired, I’m used to it..